Due to the scarcity of official information about the Sprint 6C, a great deal of speculation and variation exists between the sources from which the following information is derived. My research is ongoing and the information presented on this site will be updated as the true history and specifications are verified over time. Please report any errors and omissions. 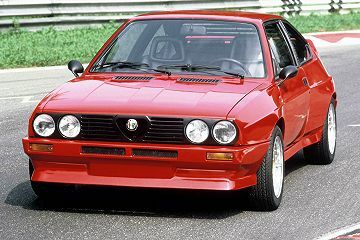 The Alfasud Sprint 6C was originally conceived as a contender for the new ‘Group B’ rally class introduced in 1982. The new class rules had far fewer restrictions on technology, design and only required a small production run to be eligible for homologation. This relative freedom enticed more car manufacturers to participate, Alfa Romeo being one. 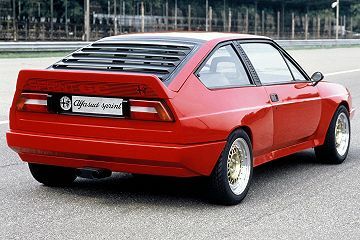 The Sprint 6C was based on a heavily modified Alfasud Sprint, it was equipped with a 2.5 litre V6 engine from the Alfetta GTV6. The drivetrain was mounted longitudinally, positioned mid-ship and mated to a 5 speed ZF transaxle. 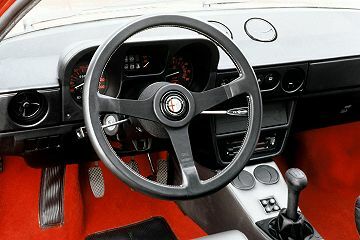 The mid-ship mechanical formula was quickly proven successful with rival marques such as the now legendary Lancia 037, which notably used the same ZF transaxle. 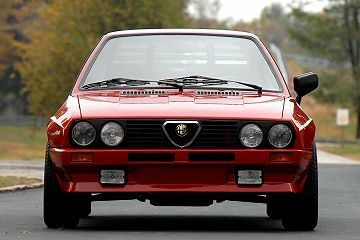 The Sprint 6C seemed poised to be a worthy entrant for Alfa Romeo into the mad world of Group B rally. The natural evolution of the Sprint 6C would likely have seen future variations sport the 3 litre V6 engine as used in the European Turismos, the combination of such a potent power plant and small statured vehicle would have made for a very exciting drive. Unfortunately the rapidly shifting rally landscape outpaced the development of the Sprint 6C, emerging technological performance gains saw already competitive marques dramatically increasing output to the outrageous highs for which Group B became legendary. The once effective foundations of the Sprint 6C soon became dated and likely uncompetitive before development was complete. 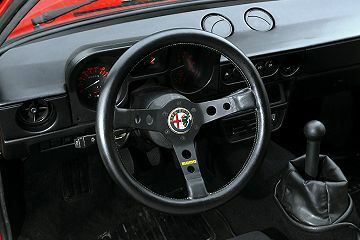 During this same time, Alfa Romeo was experiencing financial difficulties and were in administrative negotiations to shore up the company future, it's fair to assume the Sprint 6C was a lower priority. As if that wasn't enough, in 1986 after several fatal accidents, Group B was considered far too dangerous and the class was ultimately dissolved. With the demise of Group B, the Sprint 6C slipped quietly into annals of history as a curious experiment in automotive engineering, never to be fully realised. Today the Sprint 6C is almost forgotten and detailed information is not publicly available, however I intend to do something about that through this web site. * UPDATE New photographs taken in the basement of the Alfa Romeo Museum reveal that the original prototype still exists today, however in desperate need of some attention. The first version as revealed in publicity photos taken at Monza in 1982, was in appearance a broad-shouldered Sprint, with muscular boxed guards enveloping wide rimmed tyres. Despite the dramatic structural changes performed to mid-mount the V6 engine, the body retains most of the original Sprint aesthetic, including boot hatch and kamm tail facia. The rear also features an enlarged vented spoiler, emblazoned with a striking Sprint 6C insignia. Sporty aerodynamic wing mirrors are affixed to each door and the interior is beautifully appointed with grey leather and bold red carpet. This car predates the release of the series 2 makeover however it exhibits predominantly series 2 features with the curious exception of the steering column control stalks and interior door levers which are from series 1. Seeing this car in 1982 would have been an exciting glimpse of things to come. The second version saw the loss of several previously standard Sprint elements. The rear quarter windows were replaced with frameless lightweight plastic, the hatch became an enlarged composite fabrication including integrated louvers and vented spoiler, with hinges repositioned much nearer the ‘B’ pillar. The kamm tail facia received similar treatment, it too was enlarged and reshaped to integrate with the new hatch spoiler, which sadly lost the distinctive Sprint 6C livery. The tail lights were recessed into the rear facia along with a new vent which may be an integrated oil cooler. In a seemingly backward step, the aero wing mirrors were replaced with the bulky series 2 model and interior elements including control stalks and door levers were also updated to series 2. The interior upholstery had a significant makeover, replacing the steering wheel, seats, centre console, door panels and carpet. The front grille now wears a chrome heart, both bumpers each sport two fog-lights and the exhaust system was reflowed with two independent pipe exits. Both versions feature enlarged wide-body panels as required to accommodate the dramatically wider wheels. These arch extensions appear to be a sculpted variation of the later released Europa Sprint Trofeo panels fabricated by Autodelta for the 1983 racing series. 2 The transaxle for the original prototype is unknown, based on the shape seen beneath the tail of the car, it does appear to be different to the later prototype. Rumours suggest that the original prototype didn't have complete running gear and was essentially a non-functional styling exercise.